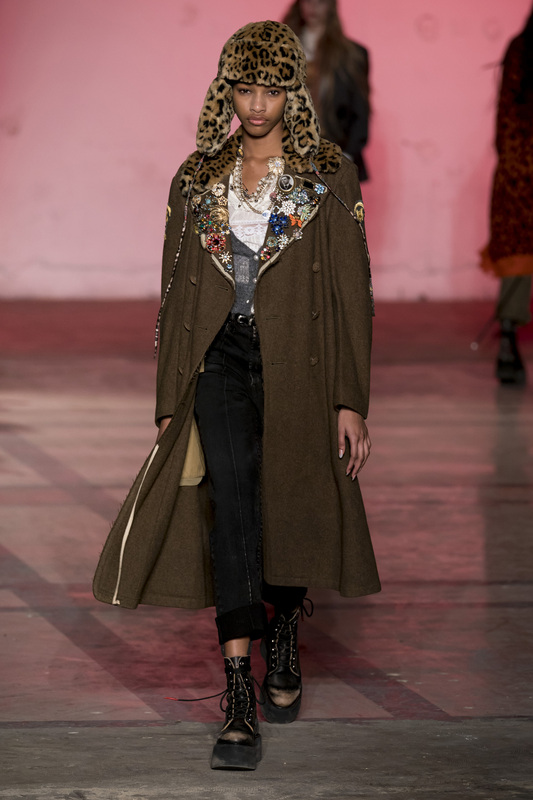 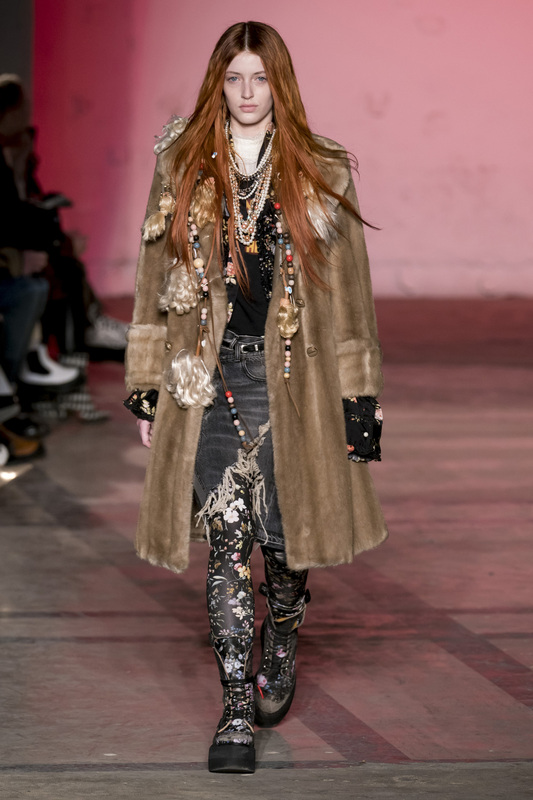 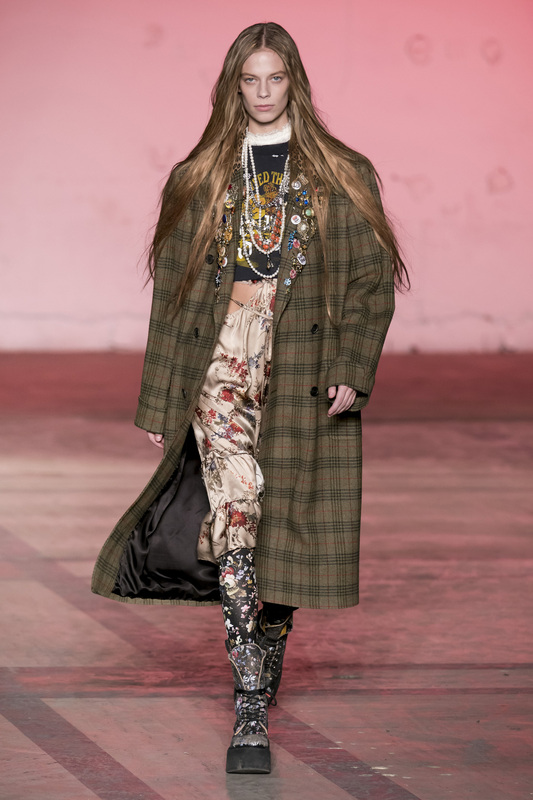 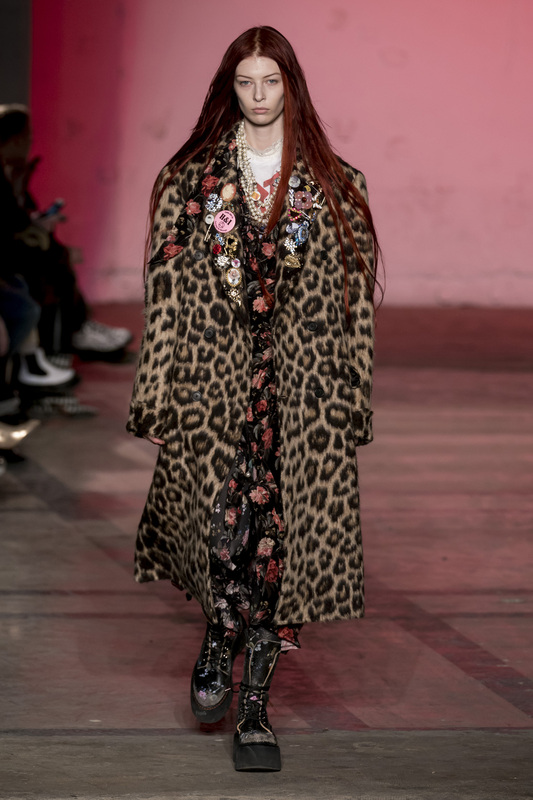 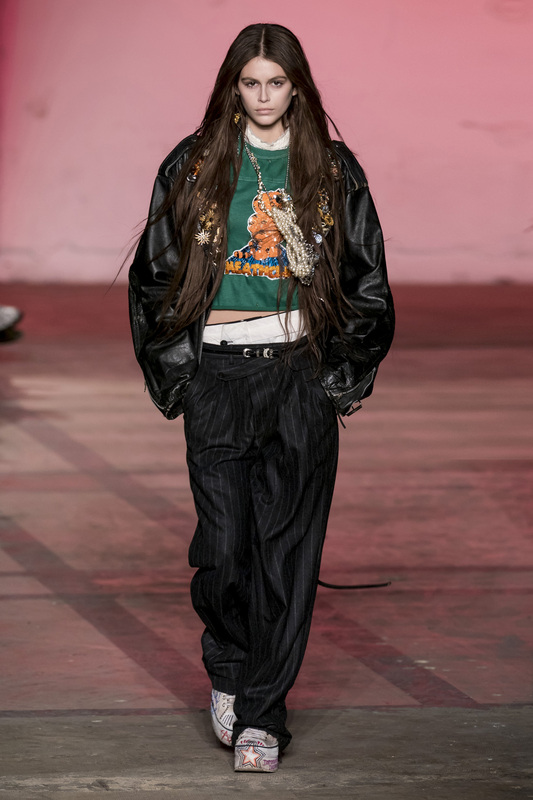 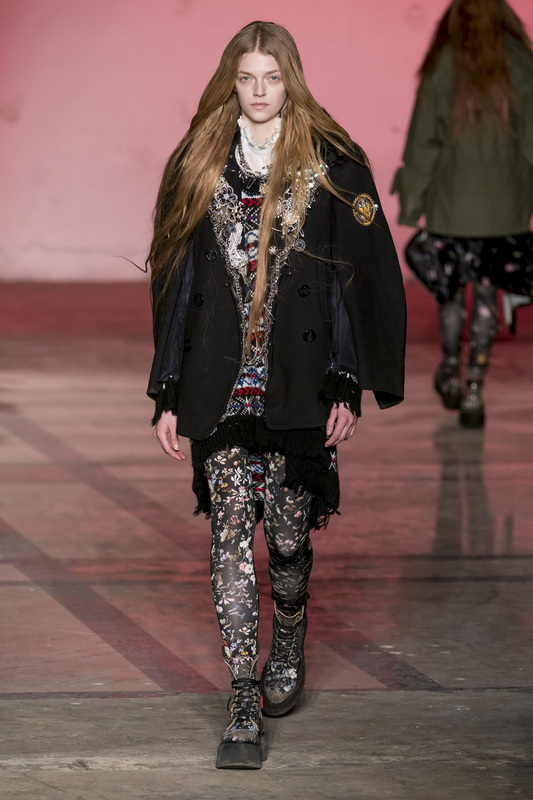 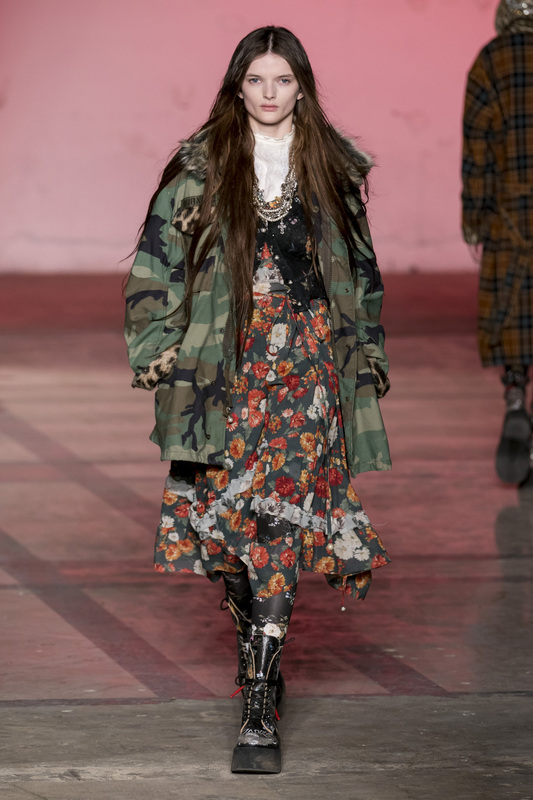 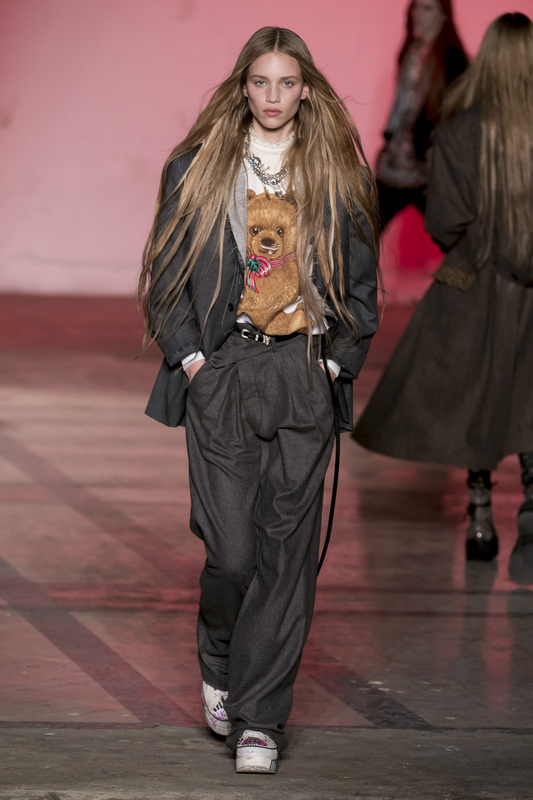 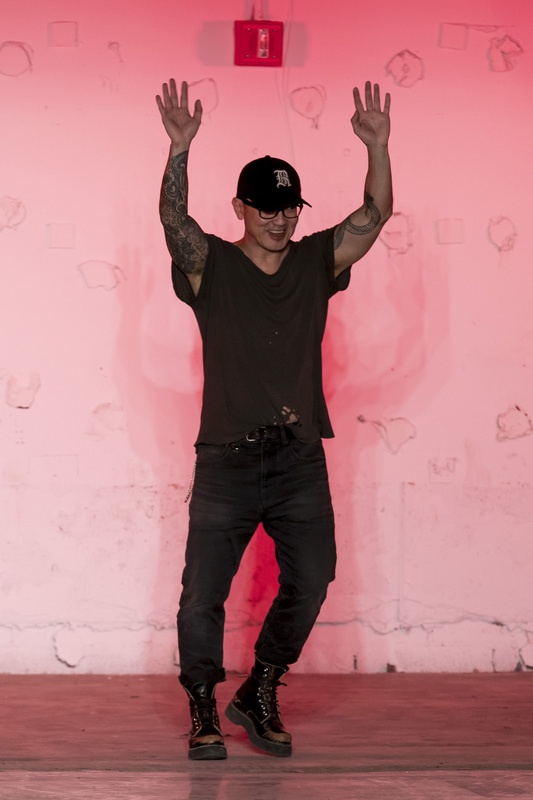 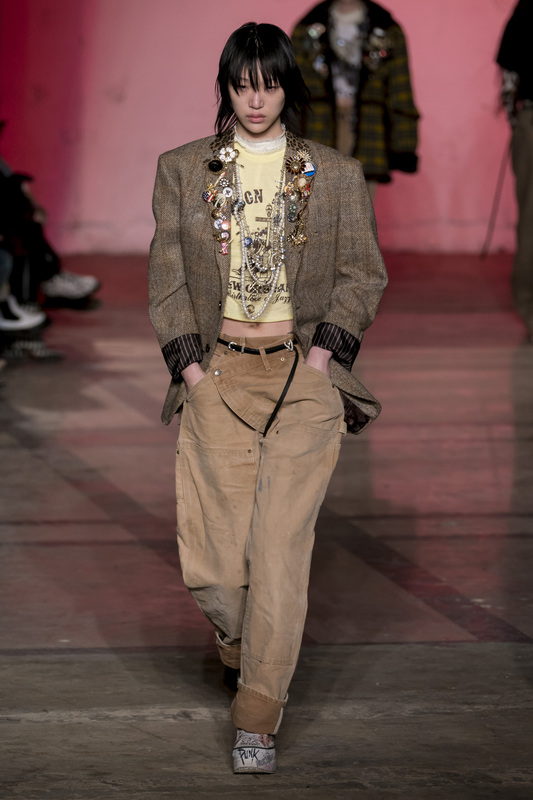 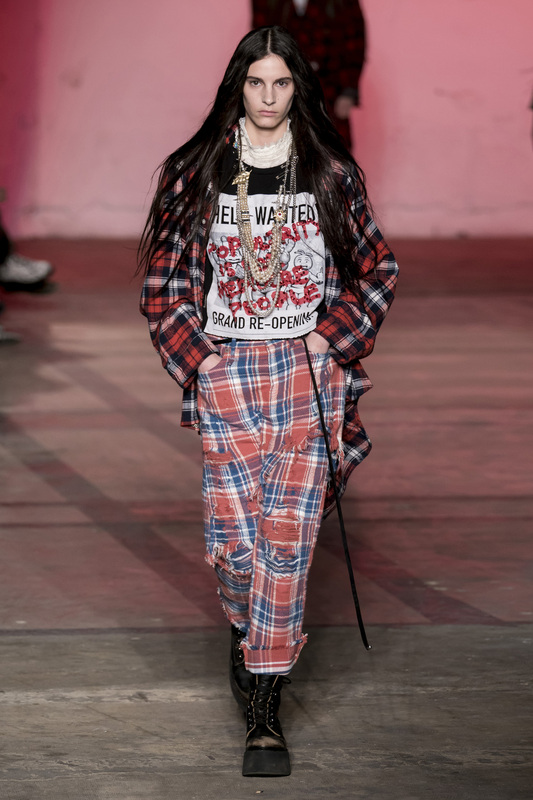 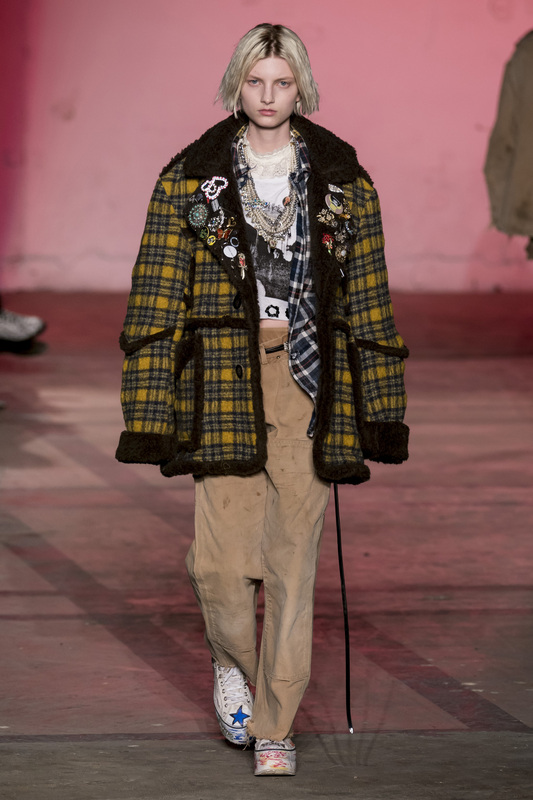 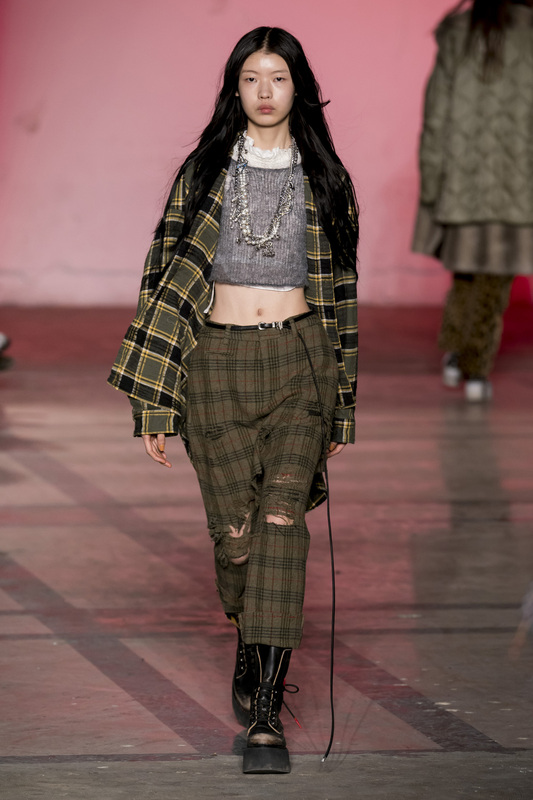 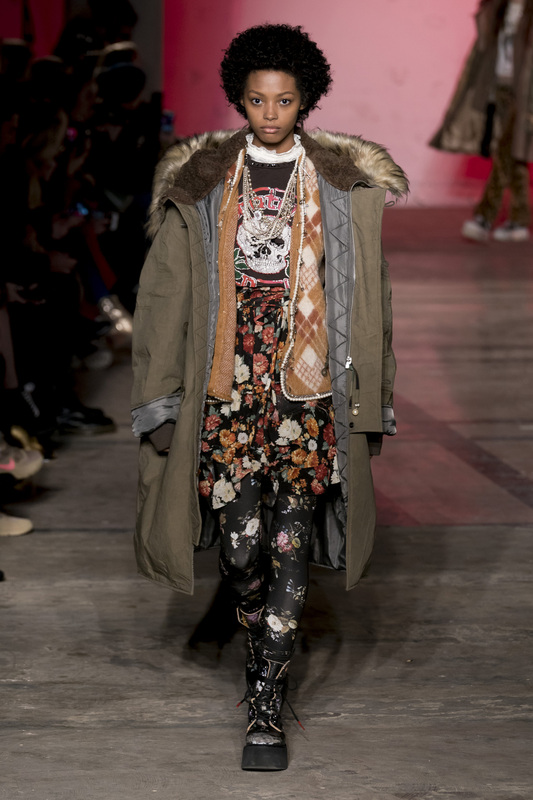 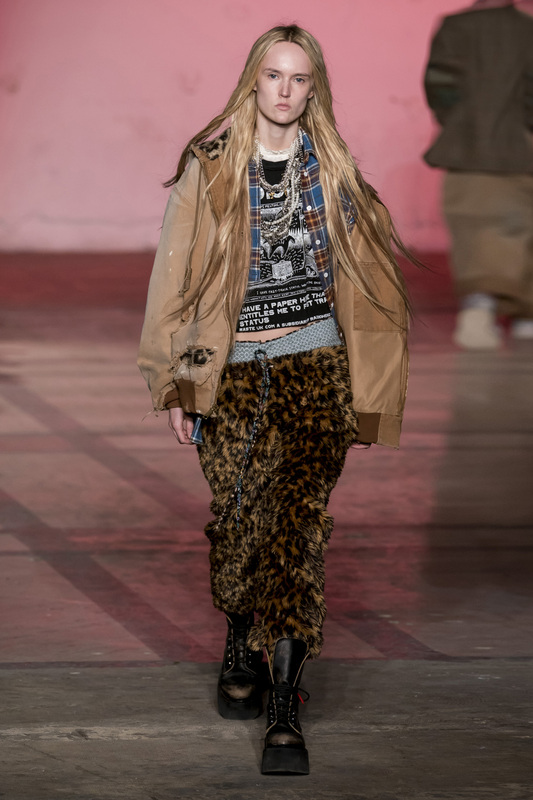 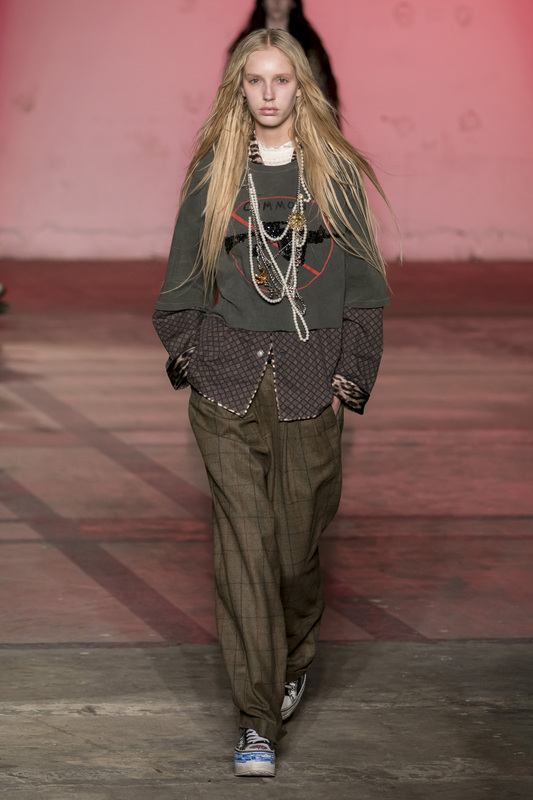 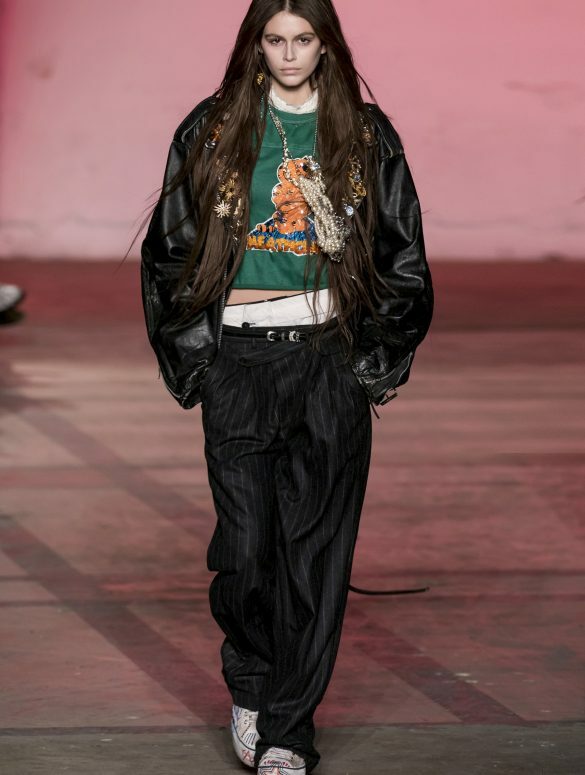 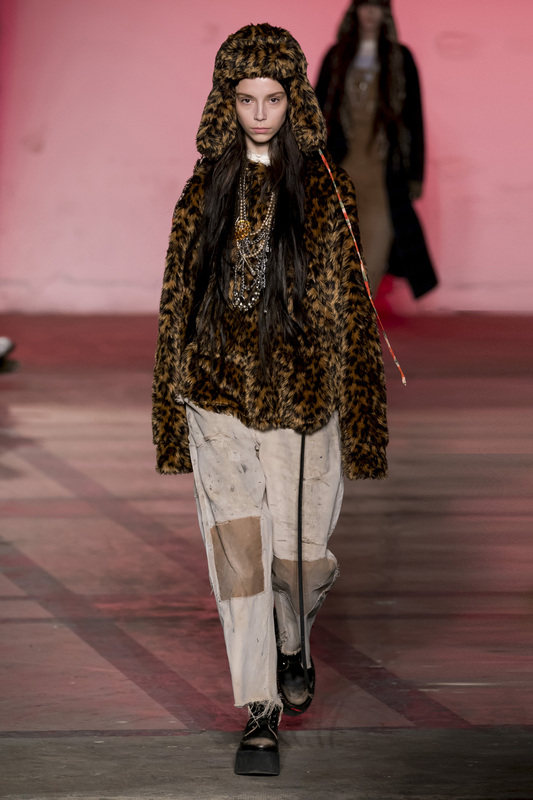 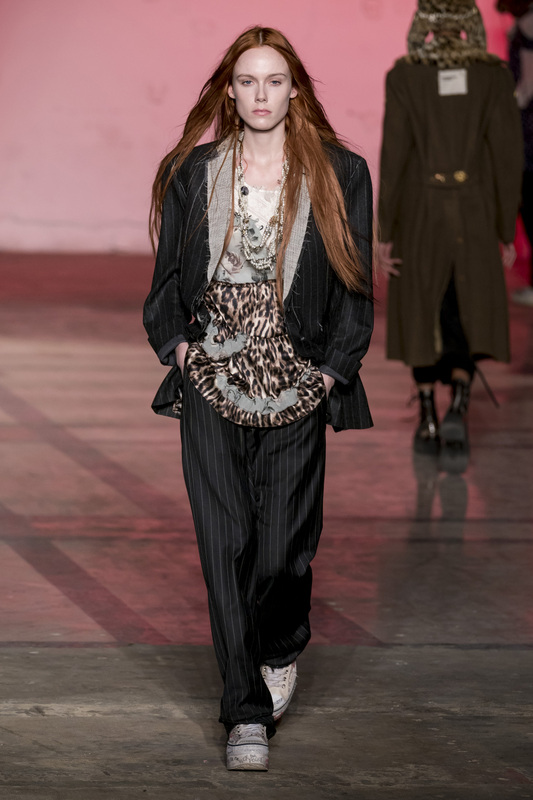 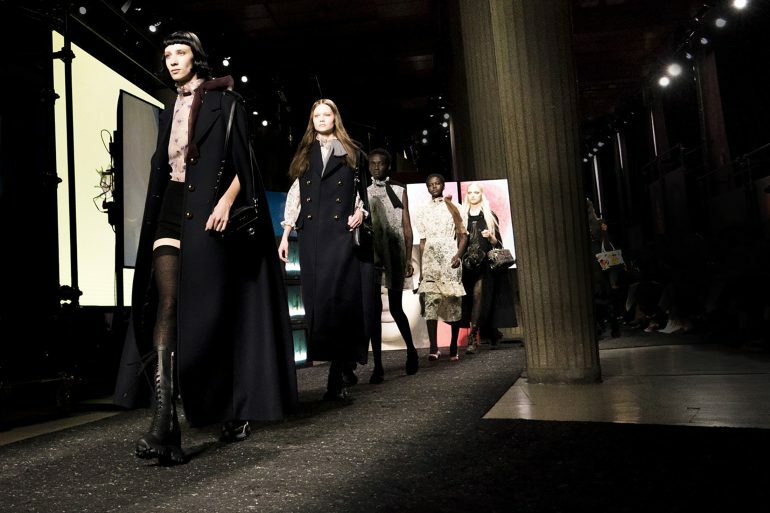 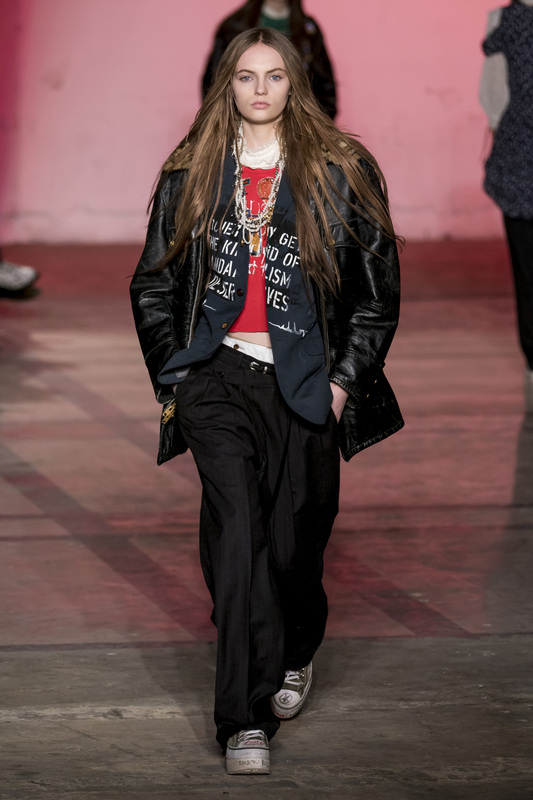 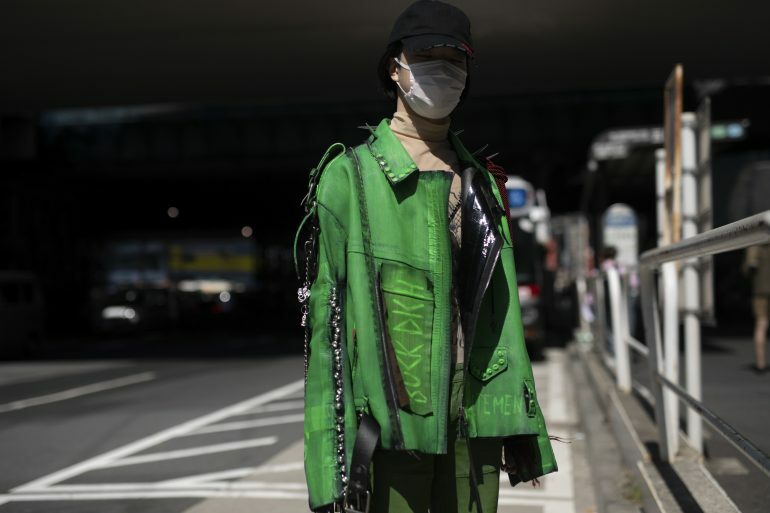 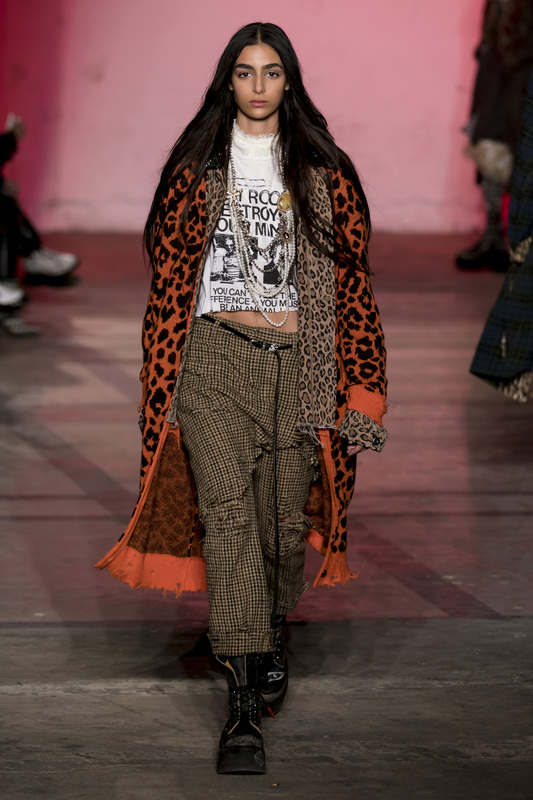 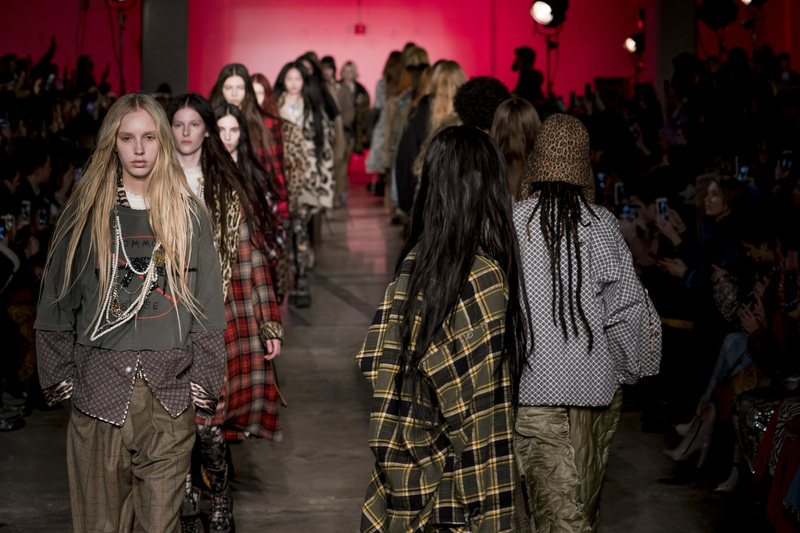 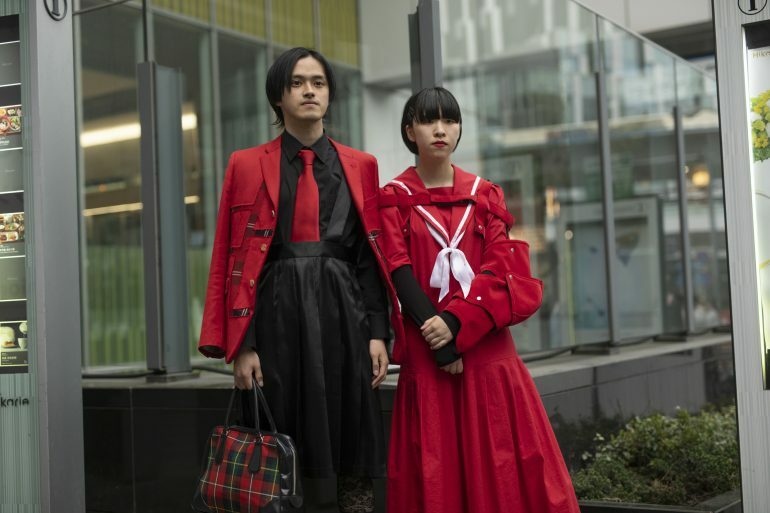 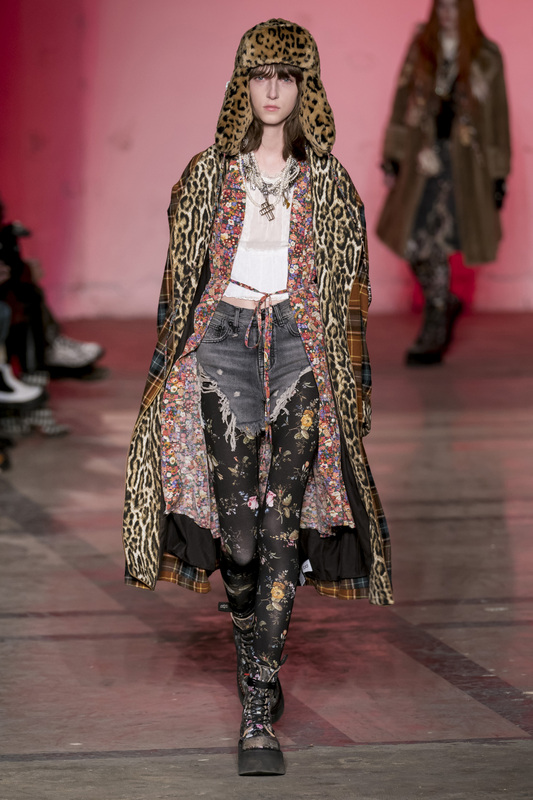 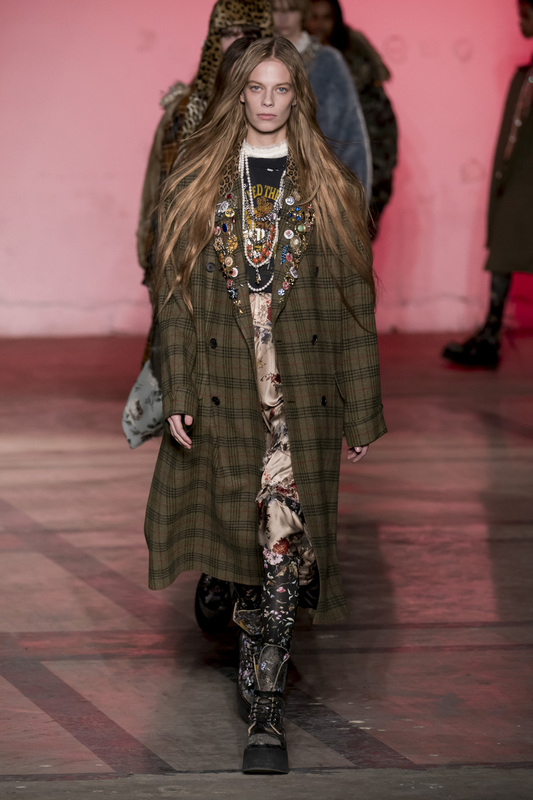 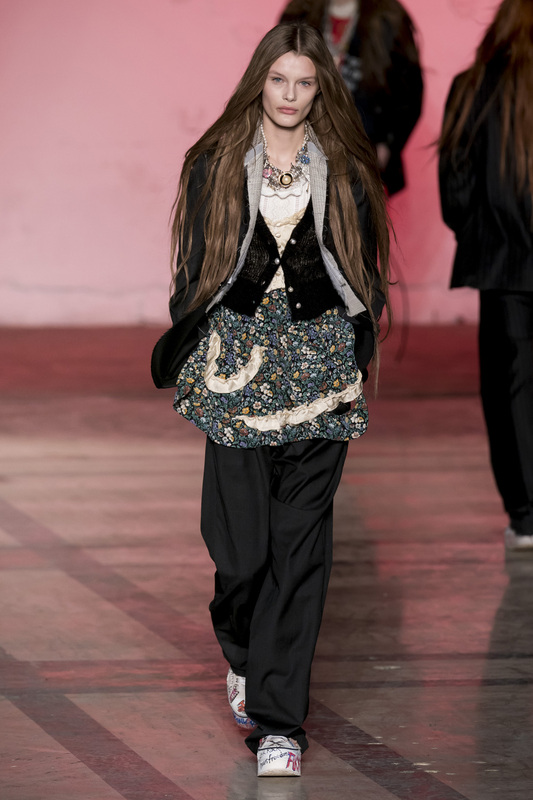 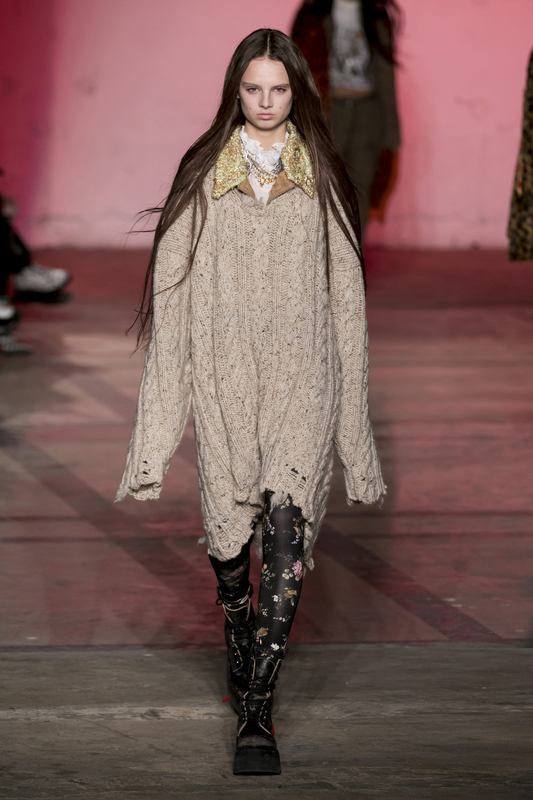 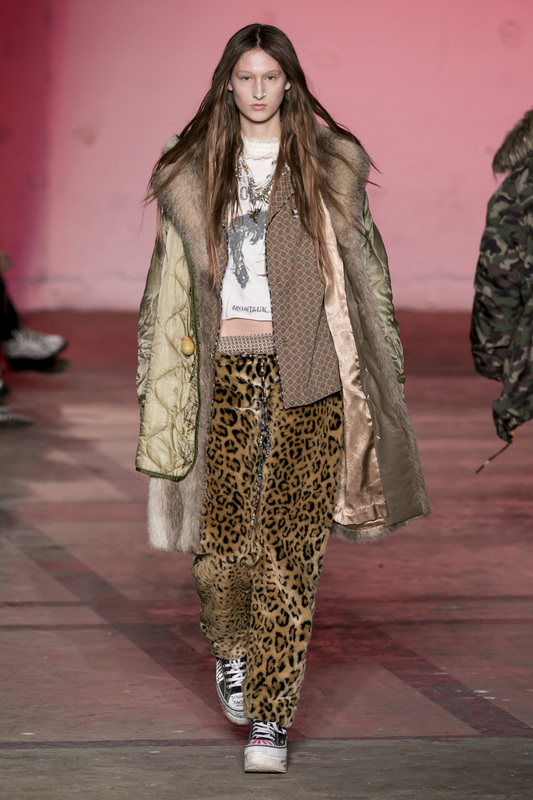 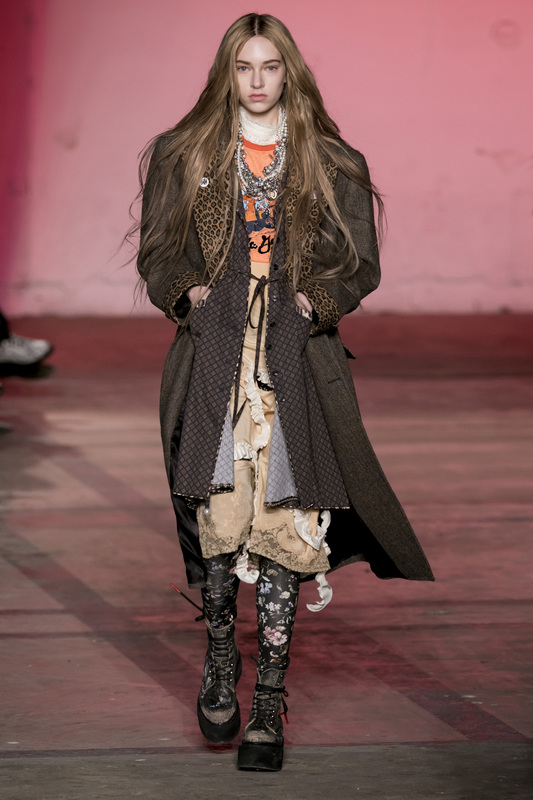 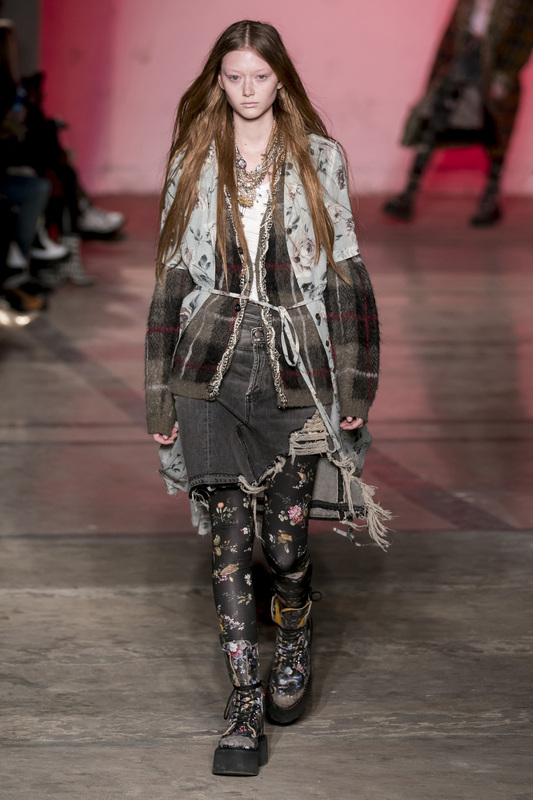 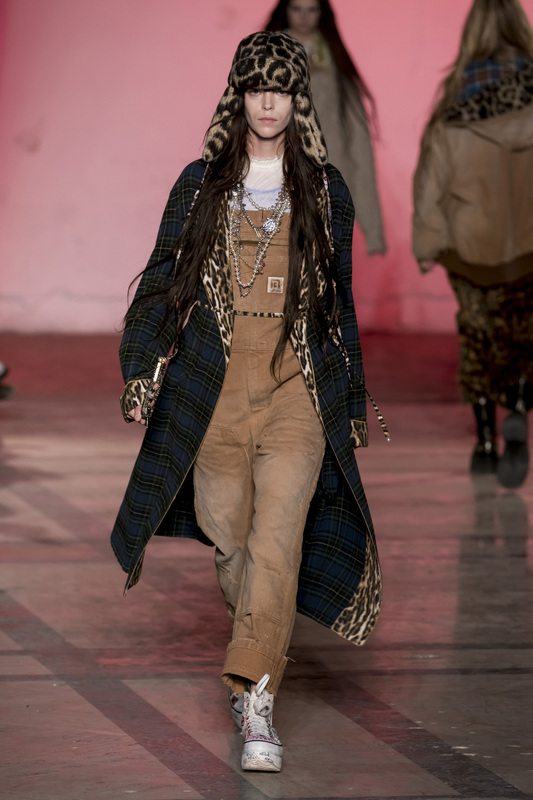 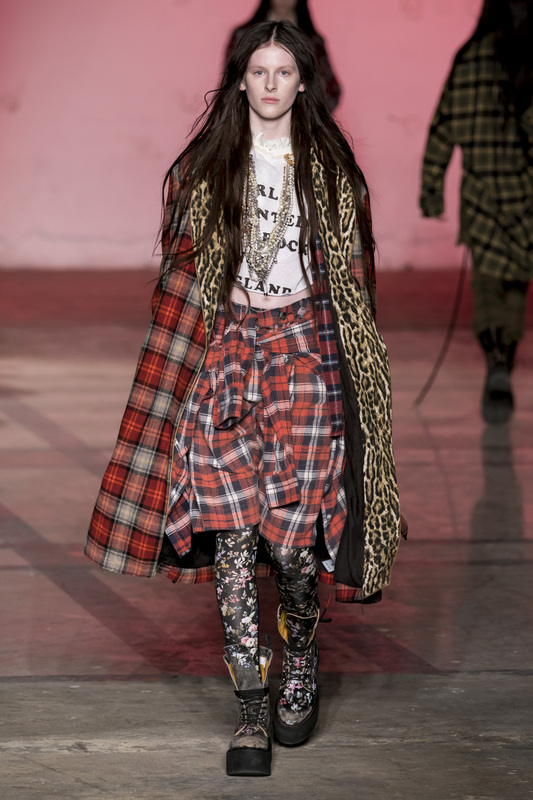 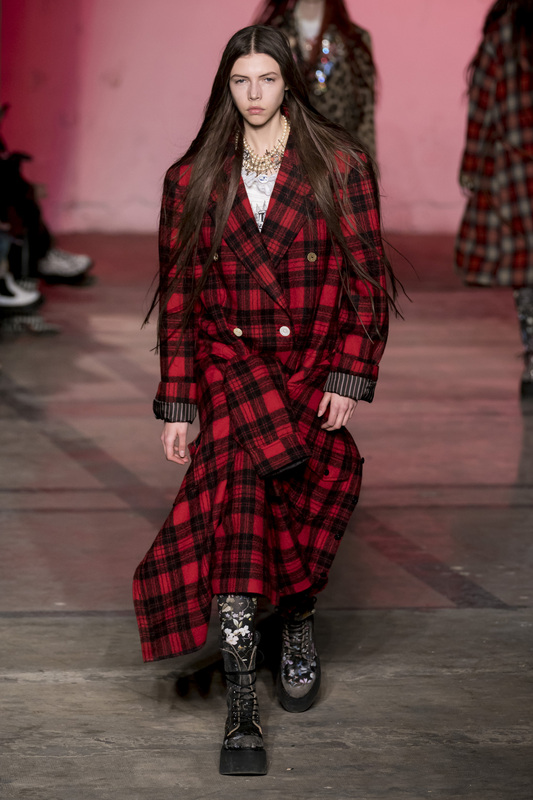 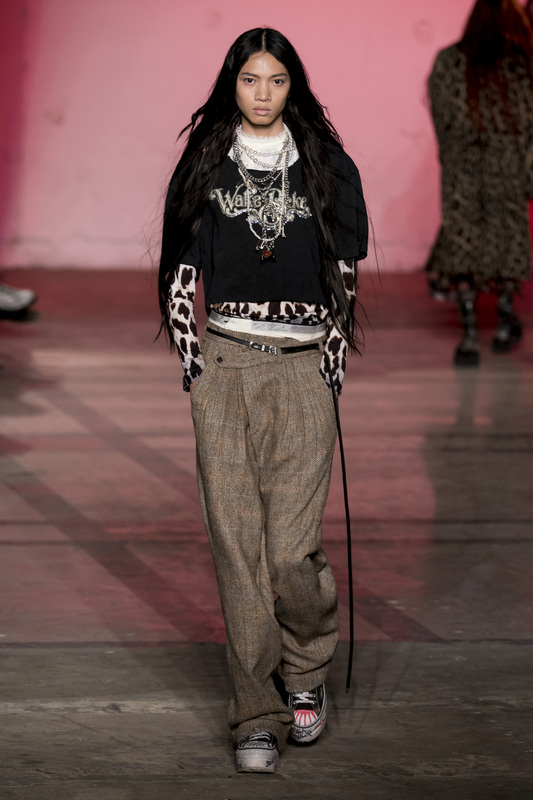 The image of punk and grunge fashion is alive and well through R13, which showed its FW19 collection partly inspired by thrift shopping. 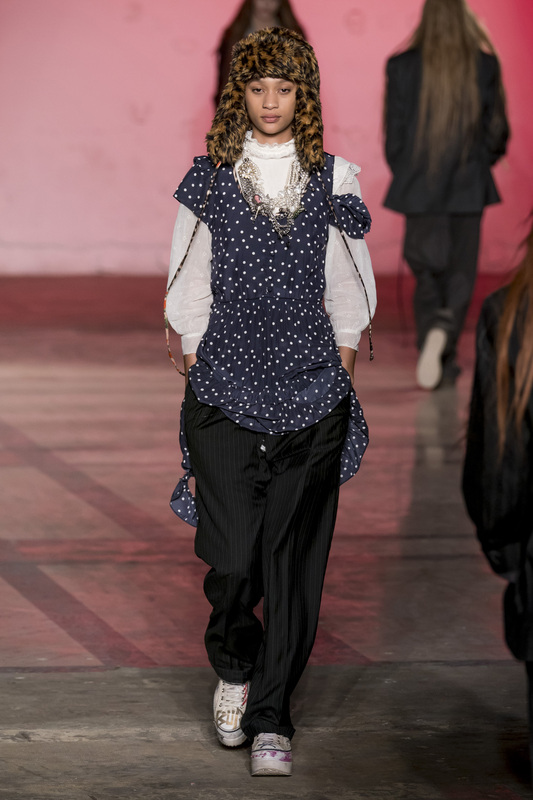 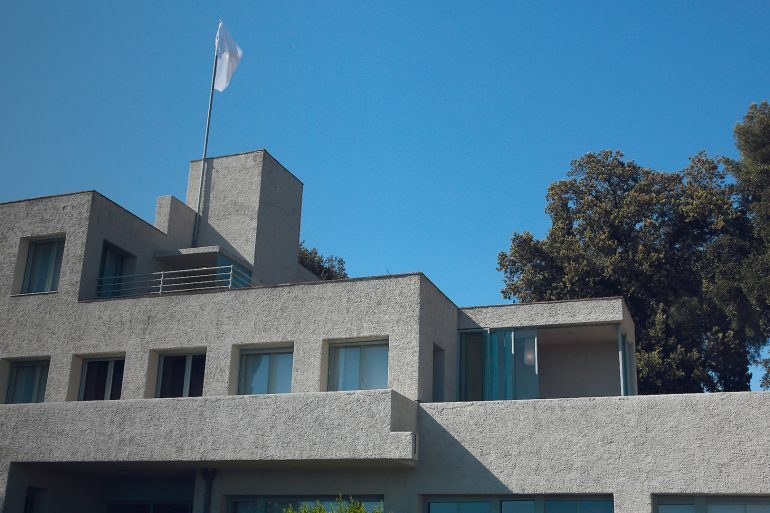 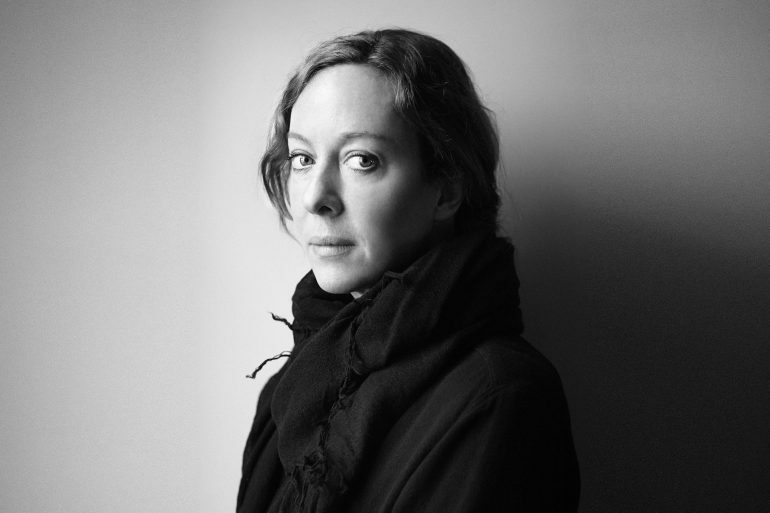 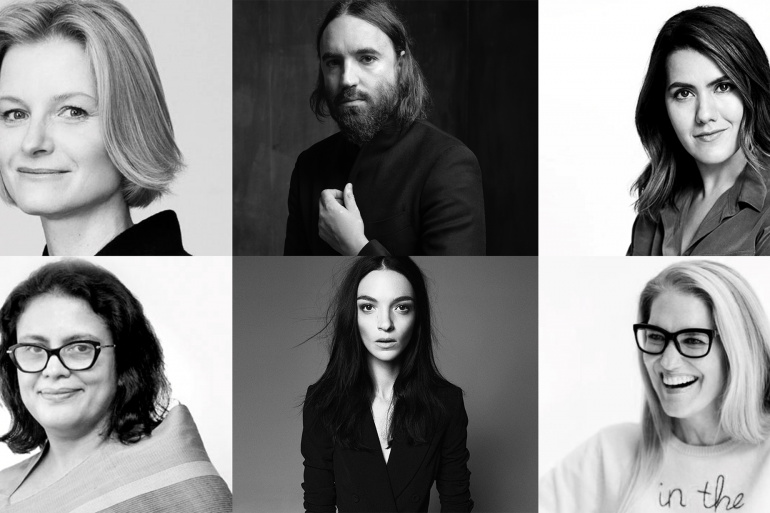 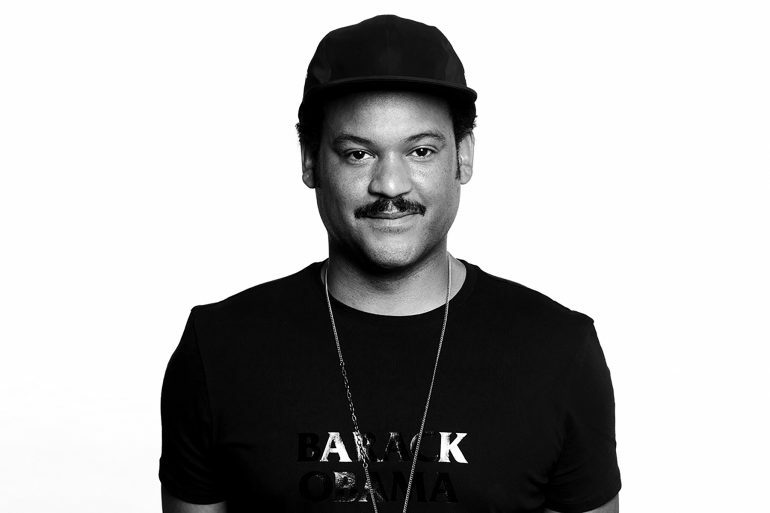 Designer Chris Leba told us that the collection’s inspiration started at thrift stores in Austin, which is also where a city’s stylish inhabitants score timeless, well-crafted pieces. 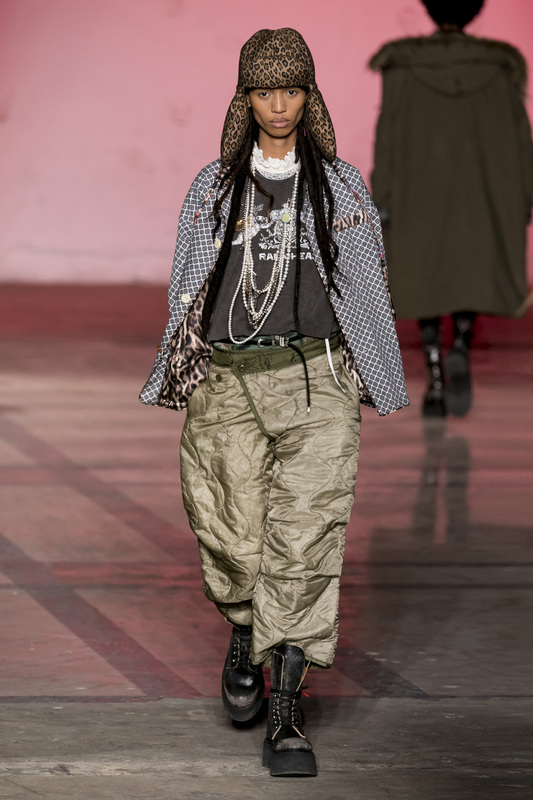 Punk and grunge fashion has a particular look that Leba leans on for this collection, but he does not overlook craftsmanship in recreating the look. 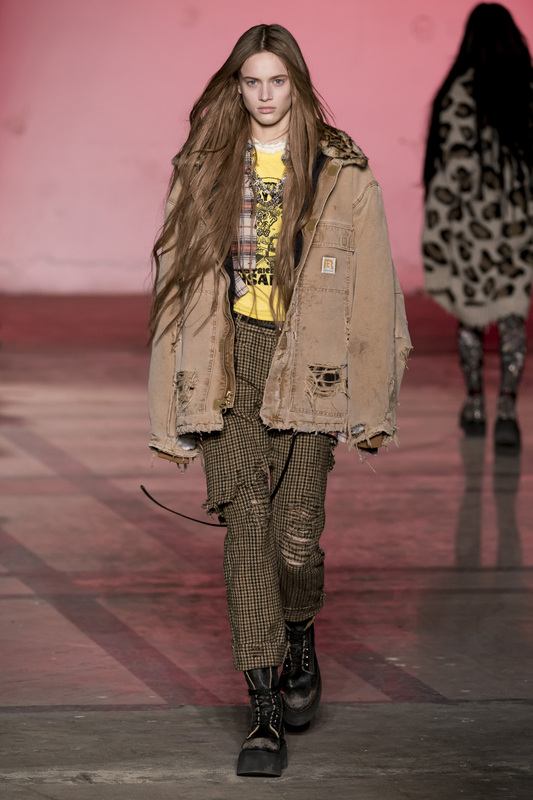 Plaid topcoats, workwear jackets and parkas resemble vintage store finds and army surplus pieces, and feature distressing, pins and embellishments to capture the DIY energy of punk and grunge fashion. 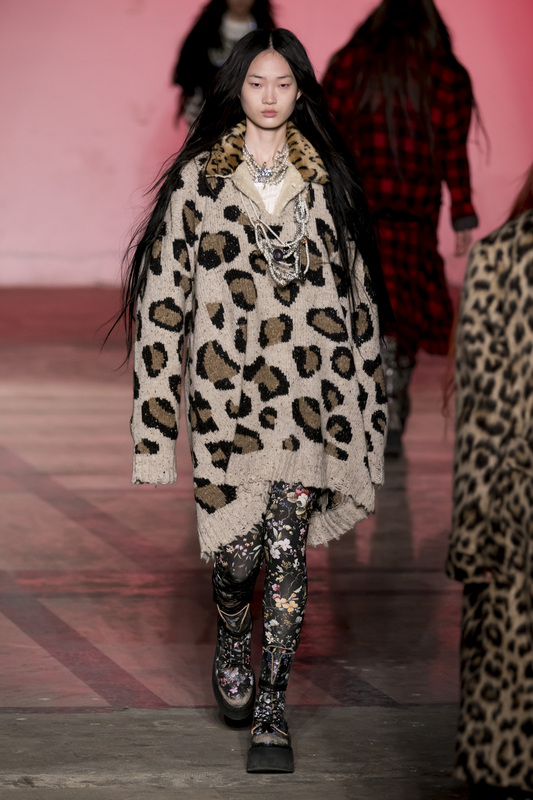 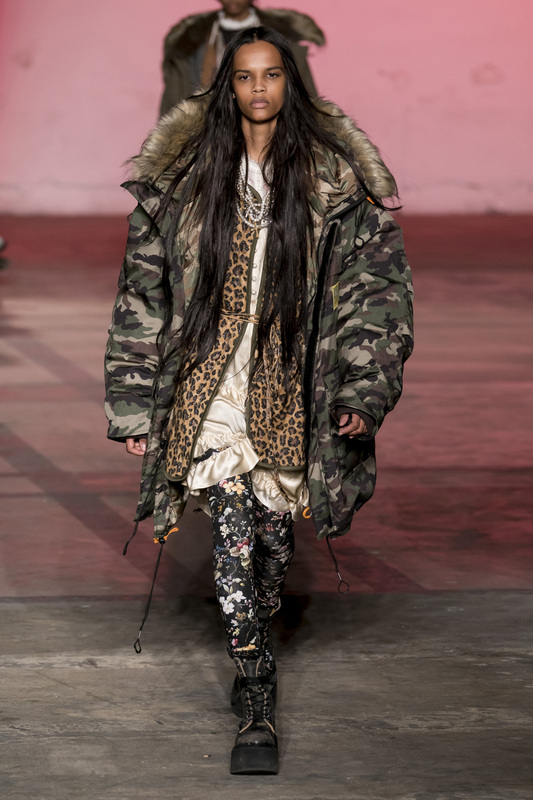 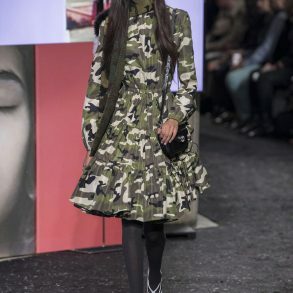 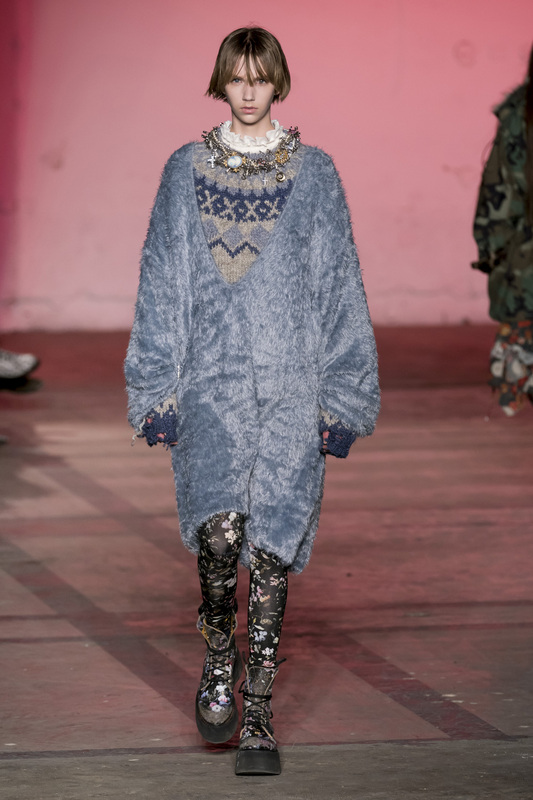 Several pieces are oversized like a deep v-neck wool sweater that is styled as a dress layered over a Fair Isle sweater, or have patterns like leopard, camouflage, cow print and flowers as seen dresses and leggings paired with vintage rock-and-roll t-shirts and sweatshirts. 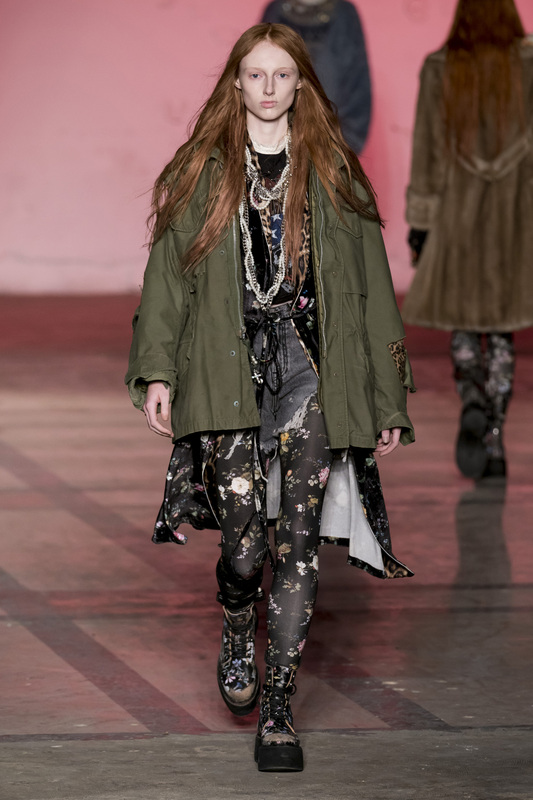 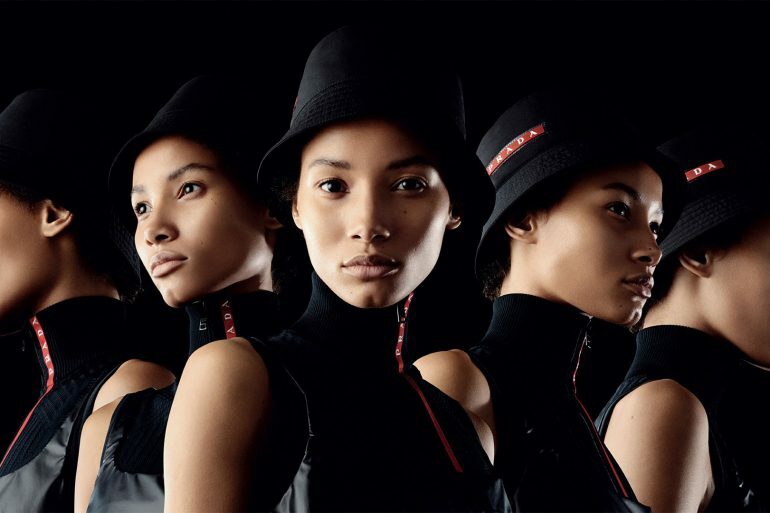 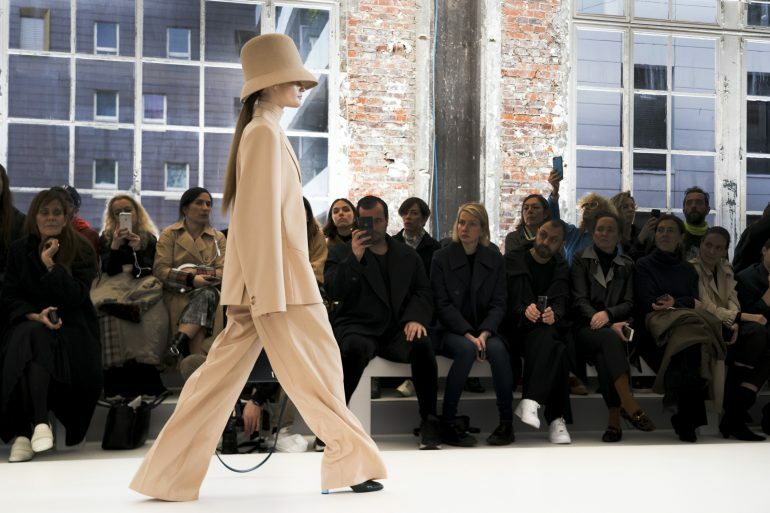 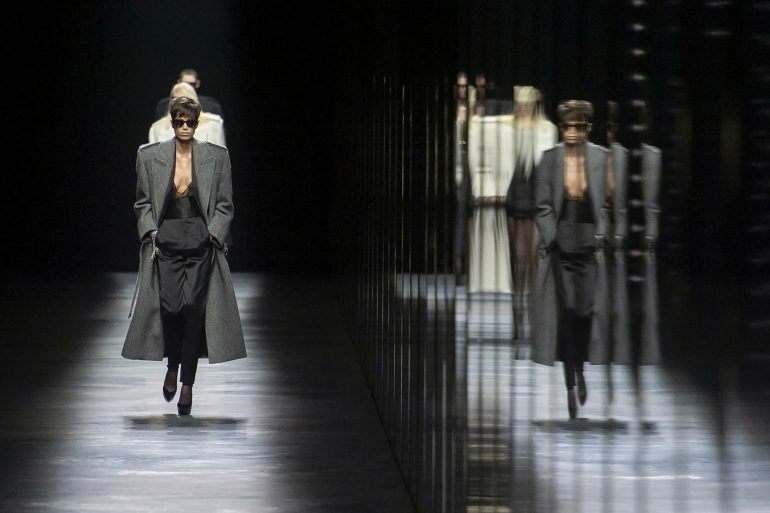 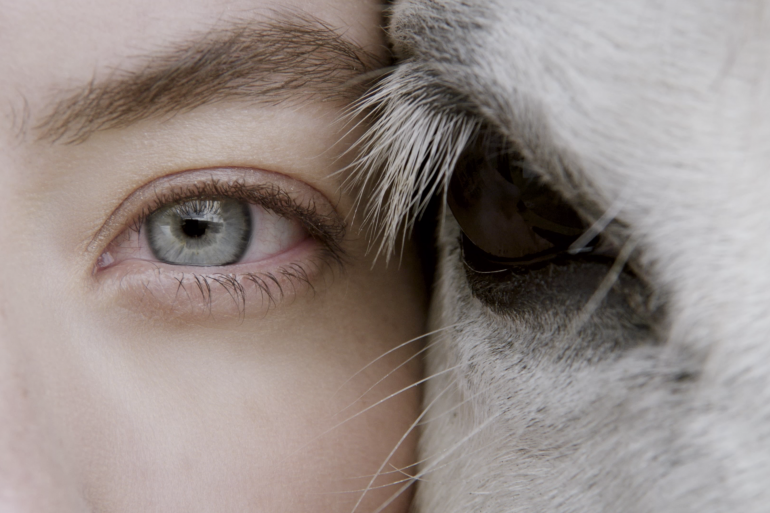 The brilliant styling makes the collection unfussy, despite every look going heavy on layering. 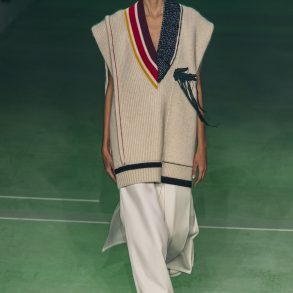 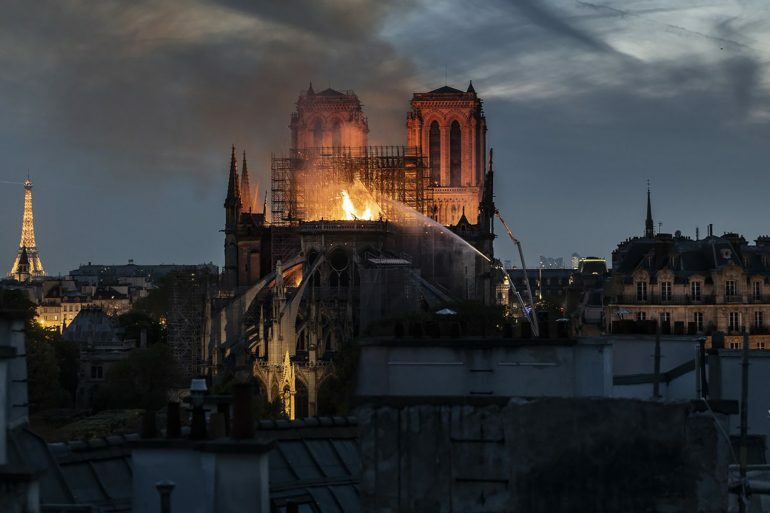 Anything less would not do the inspiration justice.